Dr. Barry Knox focuses on understandinghow eye-specific genes are expressed inthe correct cells at the correct time.Genes are expressed by the products they code for -- proteins. Since every cell has every gene in the organism’s genome, certain genes must be “turned on” or “turned off” for cells to differentiate during development. Dr. Knox’s experiments show how molecular interactions are governed by genes and suggest roles that genes may play in eye disease. At Upstate Medical University, Dr. Knox has chaired numerous committees, including those responsible for admitting and overseeing the work of students enrolled in the Biomedical Sciences Program leading to the Ph.D. degree. For the National Institutes of Health, Dr. Knox is a permanent member of the Biology and Diseases of the Posterior Eye Study Section which reviews most grant proposals submitted to the National Eye Institute. Dr. Knox also reviews many grant proposals for the National Science Foundation. These positions and his scientific publications have helped Dr. Knox to attract young, talented scientists to CVR. Dr. Knox has received funding from the National Eye Institute, March of Dimes, and Central New York Children’s Miracle Network. At the Massachusetts Institute of Technology, Dr. Knox worked under Nobel Prize winner Dr. H. Gobind Khorana. He was also trained at Cornell University and The Johns Hopkins University. He received research awards from UMU as a Young Investigator and from Roche as a graduate student. He has collaborated with many researchers at leading universities in the United States, England, and Japan. 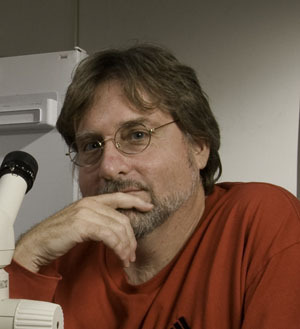 His work appears in 18 scientific journals, including Nature, Methods in Enzymology, and Proceedings of the National Academy of Sciences, as well as Biochemistry, Biophysical Journal, FEBS Letters, Journal of Biological Chemistry, and Cold Spring Harbor Symposium on Quantitative Biology. He also reviews manuscripts for some of these journals and has contributed chapters to textbooks devoted to vision and sensory responses. Last Modified: August 14, 2018. Contact Carol Miller with questions about the content of this page.